At Oakland Park Animal Hospital, we believe every pet deserves to be protected from disease, parasites, and other known risks to their health. Fortunately, modern dog vaccinations and cat vaccinations give our vet the ability to prevent a wide variety of serious threats. If your pets are behind on their vaccines or have yet to receive their first round of vaccines, it’s time to learn more about the benefits of this common preventative service. Our Oakland Park veterinarian recommends annual vaccines for every single pet, including yours. Why should you vaccinate your dog or cat? For starters, vaccines seriously reduce or eliminate the risk of some of the most life-threatening diseases and viruses out there. No matter what their age, lifestyle, or breed, your pet will benefit from regular vaccines that prevent serious health complications. Of course, many vaccines are also legally required. Rabies, distemper, and several other dog and cat vaccines are mandatory in the state of Florida, and cities like Oakland Park and Fort Lauderdale enforce these requirements too. If you plan to rent from a landlord, visit a dog park, or use a pet daycare center, you may face additional vaccination and documentation requirements. Vaccinations are important parts of every pet’s wellness regimen, and they’re never too young or too old to worry about preventative health. In fact, puppies, kittens, and aging pets are especially vulnerable to contagious diseases and illnesses, so it’s important to make sure their vaccine and booster vaccine schedules are up-to-date. 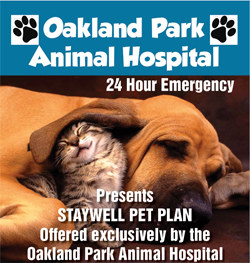 We offer vaccination packages for pets at every stage of life here in Oakland Park. Our Oakland Park Animal Hospital veterinarian is happy to personalize his recommendations for each individual pet, adjusting as necessary to reflect each dog or cat’s risks. Just like puppies and kittens need gradual courses of vaccines as they grow, social and outdoorsy pets face new risks that may require non-core vaccines. We will personalize a vaccination regimen that depends on your pet’s age, lifestyle, and risk levels, and adjust as necessary. For example, does your cat have a health condition that weakens their immune system? Does your dog spend a lot of time around wildlife, bodies of water, or other people’s pets? Your veterinarian will take all this into consideration. 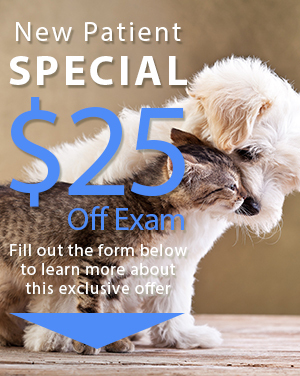 Call (954) 731-4228 to schedule your pet’s next round of vaccinations today.